Things are really starting to take off in the Indian aviation market. According to The International Air Transport Association (IATA), India has just moved up two places to become the fourth largest aviation market in terms of passenger numbers. What’s all the excitement in the Indian aviation market? 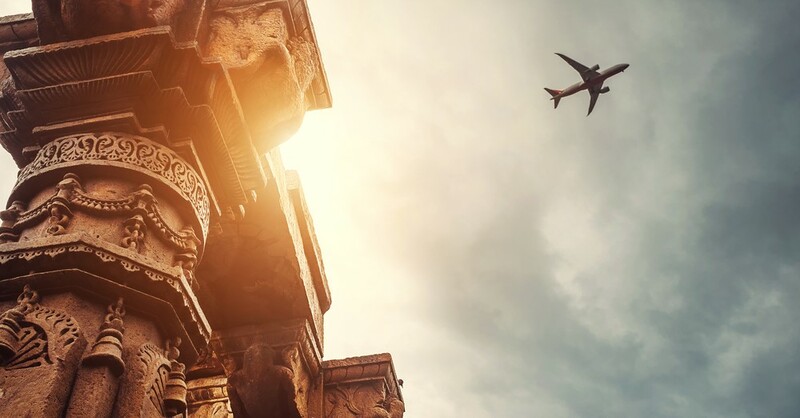 Not only has India entered the top five global aviation markets for the first time, IATA predicts that passenger numbers will rise by a massive 266 million pa by 2034. This makes India the third fastest growing aviation market, with second placed US and fourth placed Indonesia set to grow by 559 million and 183 million respectively. Across all domestic, international and connecting flights, India’s aviation industry carried 131 million passengers during 2016. This implies that growth will be sharp in the coming decades. Domestic passenger numbers have already been increasing yearly at around 20% for the last few years. To power this growth, various national aviation bodies and airlines have been quick to begin hiring. In 2017 alone, the Airports Authority of India (AAI) intends to hire 400 ATCs. This would match the number of ATCs hired in 2016, and double the amount hired in 2015. Air India has also applied for a world record, having been the first airline to run a flight with all-female crew to mark International Women’s Day. This is part of efforts to increase diversity in the industry, a factor that will have significant knock-on effects for global aviation hiring. Additional training resources will be required to produce staff with the right skills in sufficient numbers. Among the biggest projects on the horizon is a proposition from Air India. The carrier has suggested plans to convert its Central Training Establishment in Hyderabad into a brand new aviation university. The carrier hopes the university will produce an additional long-term revenue stream, as well as help to bring through the next generation of aviation staff. The Indian government has been keen to support growth in the Indian aviation market. The Indian aviation market is truly starting to push through the sound barrier. But, developments are also happening in markets across the world, and you need the right staff in the right roles to ensure you’re fully prepared for growth. Get more expert aviation recruitment advice and find candidates with all the right skills, anywhere in the world by calling on a little help from AeroProfessional.